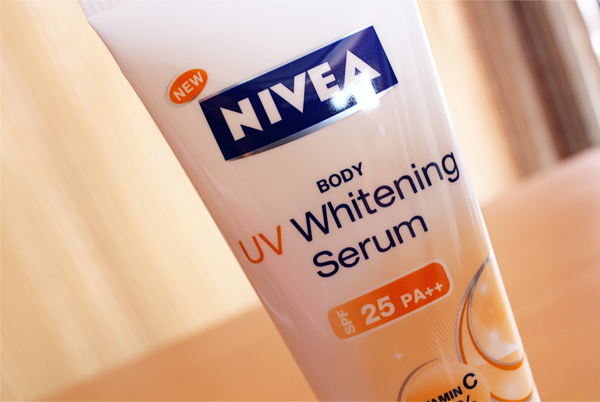 Ever since I received Nivea's Body UV Whitening Serum SPF25 PA++ from Elfaine (Thanks, dear! ), I have been using it religiously (I'm into my 4th week!). Every night, I would slather this on my arms and legs and I wasn't expecting a lot from it. But boy, did I underestimate Nivea! 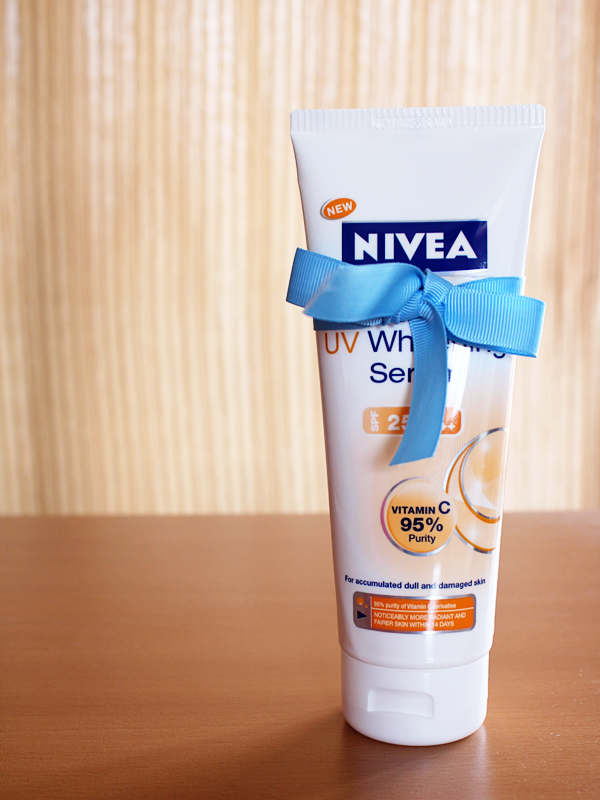 Nivea's Body UV Whitening Serum SPF25 PA++ is a tube of innovation that provides a 14-day intensive whitening treatment for our body. 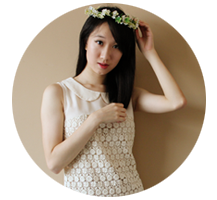 The innovation makes the serum lightweight and allows it to penetrate into our skin quickly. Packed with ingredients like natural Vitamin C from Camu Camu and 95% Pure Vitamin C, the serum helps to repair and restore skin that is both dull and damaged, so that we can have skin as fair as Snow White! The product is housed in an opaque white 200ml tube, so you don't have to worry about the Vitamin C decomposing upon exposure to sunlight. I like that it's a squeeze tube so we don't run the risk of contaminating the rest of the product at any time. Its scent is light and fresh and it doesn't linger for long. I wouldn't exactly call the product a serum; it's more of a very watery moisturizer. Just as what Nivea said, the product sinks into the skin easily and quickly. It's almost like you didn't apply anything. 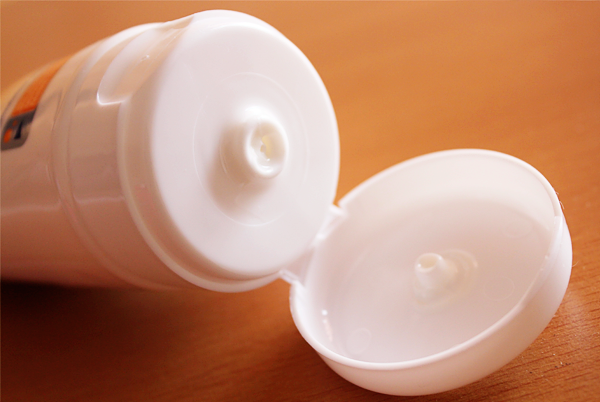 During my first week of usage, I noticed that my skin was kept hydrated throughout the day even though I only applied it at night. 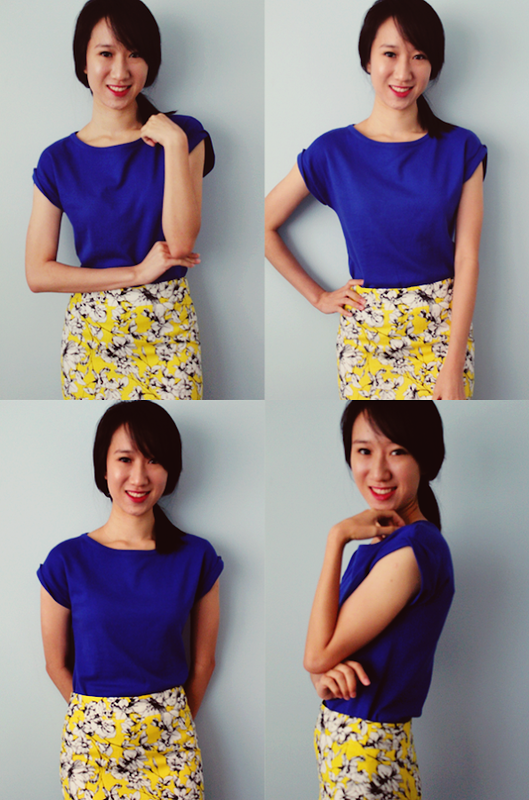 In my second week, I realized that my skin looked brighter and clearer, especially on my arms. But I have been so busy that I didn't think much of it until I looked through my photos. photo from here and here. Oh, I am currently using this on my eczema scars and haven't encountered any irritations. And yes, they have lightened too. (: I'm gonna start 'focusing' on my elbows now (I usually skip them because... I don't know. Does anyone bother with their elbows?!?)! Hi! I just bought it yesterday. But there are no directions given on the bottle. Should I apply it just one time per day or how did you do it? Alright thanks for your information! And one more question, is this product can be apply on face too? You're welcome (: I wouldn't recommend it as this is made for only the body. This product is oily & sticky unlike what it claims to be. I should have known better to trust the review as most product that contain UV are oily & sticky. I have just started using it and can't judge the effectiveness of this serum. Will update again on the results. Hi (: I'm sorry the product isn't working for you. But hmm... It isn't the least bit oily or sticky for me. I use it during the day and even in Singapore's warm and humid climate, I don't experience any oiliness or stickiness... Nivea has this in lotion form, without the UV protection. Perhaps, you can try that.